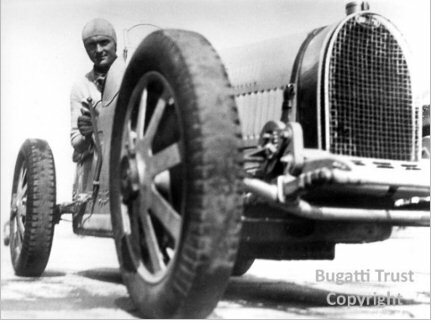 ‘Chiron – The Man –ʼ opening at the Bugatti Trust on May 27th is an exhibition dedicated to the life and racing career of one of Ettore Bugatti’s most famous works drivers: Louis Chiron. 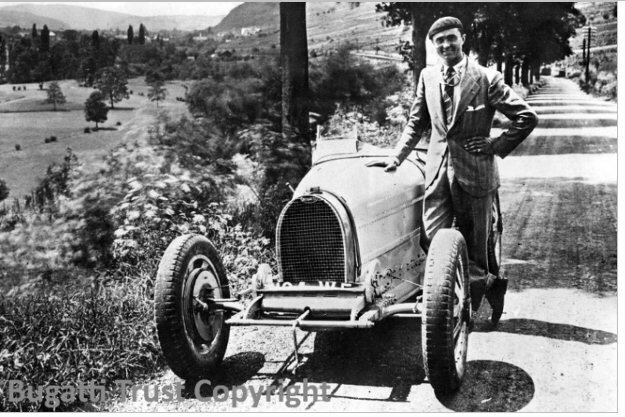 Hugely successful in the 1920s and 1930s, racing Bugattis including the types 22, 35, 51 and 53, he had an extraordinary life which saw him compete in GP racing up to the age of 55. The Trust is delighted to announce that the centre piece for the exhibition will be an original 1932 Bugatti Type 51 Chassis 51146 lent to us for the duration of the display. The car was raced by Chiron at Dieppe (1st), Brno (1st) and Miramas for the GP de Marseille as an official works car for the factory. It was subsequently sold or gifted to him in 1933. The current owner has the complete history of the car to the present day and the exhibition will include time lines of Chiron’s racing successes and career. Louis Chiron at the roadside on the way to Saverne, Molsheim, testing Type 35B. 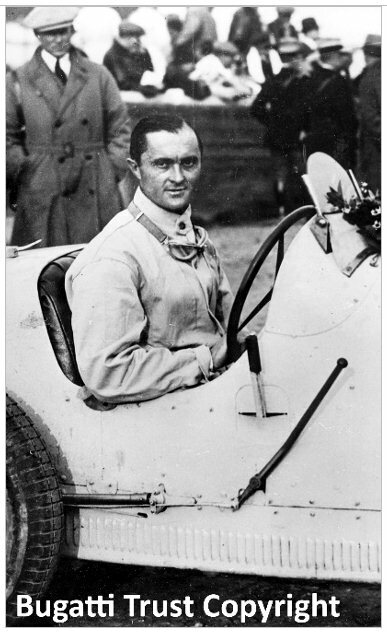 Known as ‘the Silver Fox’ and ‘Louis the Debonair’, Chiron joined the ranks of Williams, Varzi, Nuvolari, Benoist, Divo, Dreyfus and Wimille as the racing drivers most associated with the Bugatti factory. The Chiron exhibition supports the Bugatti Trust’s overall mission to educate. Chiron is a buzzword for the motoring community for 2017 with the first production supercar Bugatti Chirons being delivered to customers in the UK. A privately owned Chiron will be at La Vie en Bleu, a first at Prescott. The Bugatti Trust exhibition will include photographs of seminal moments of Louis Chiron’s career and historic racing memorabilia. Gery Mestre, President of the ‘Commission Voitures de Collection’ at the Automobile Club de Monaco was able to provide the Trust with a number of copies of original Chiron documents and letters which will be available to browse on the Trust’s new digital kiosk. A small additional display will celebrate the renowned Bugatti Queen Hellé Nice who was a Bugatti racing contemporary of Chiron. Born Hélène Delangle, Hellé Nice moved from a career in entertainment to motor racing after a skiing accident. Described as a ‘virtuose du volant’, she was extremely successful competing in GPs, hillcimbs and rallies at an international level. Some of her endurance records stand to this day. The Bugatti Trust has a number of original documents including her personal address book from 1937 and some personal photographs thanks to ‘The Bugatti Queen’ (2004) author Miranda Seymour who spent years researching Hellé Nice’s dramatic life story. Hellé Nice striking an amusing pose at the Marseille GP, Miramas circuit, August 1933. Notes for the editor about The Bugatti Trust. 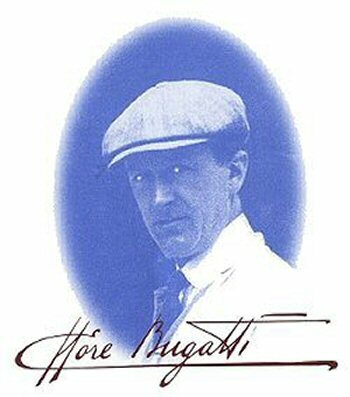 The internationally renowned Bugatti Trust Study Centre was founded in 1987 for the benefit of the community by the establishment of a museum and study centre devoted to the history and technical importance of Ettore Bugatti, his cars and other creations. Based by the historic Prescott hill climb in the Cotswolds, the Trust is open to visitors all year round. The permanent exhibition includes historic original cars by Ettore Bugatti, sculptures by Rembrandt Bugatti, furniture by Carlo Bugatti and much more. The extensive historic archives include 27,000 factory drawings, 10,000 photographs, 1,000 original patents and a wealth of original factory documents. Key objectives of the Trust, which is registered in the UK as a Charity, are to preserve and make available for study the works of Ettore Bugatti, to promote knowledge of his works and raise awareness of the importance of aesthetics and integrated design in engineering. The Bugatti family has a history of design from sculpture, through furniture, boats, planes, trains and perhaps the better known cars. The emphasis has always been on the elegance of pure functional aspects of the product. Ettore Bugatti, the best known member of this illustrious family, built motor cars which stand apart from all others in the manner in which they combine aesthetic appeal, efficient working and often innovative design with engineering solutions. 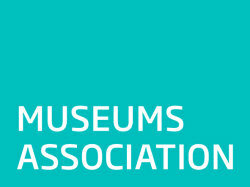 Educational outreach: The annual membership contributions, donations and legacies received allow the Bugatti Trust to support an active Science Technology Engineering and Maths (STEM) educational outreach programme. In 2016 the Trust was able to support Bath University’s TBR Formula Student Team, Team Virus Robotics, Coventry University Design and Engineering competitions, the Misha Black awards and local science events. 2017 workshops on site will include automotive drawing classes, 3D fun for junior engineers and The Physics of cars activities for children. Notes for the editor about Bugatti Type 51 Chassis 51146. Works car for 1932 and driven by Louis Chiron at Dieppe (1st), Brno (1st) and Miramas for the GP of Marseilles where he retired. Sold or gifted to Chiron February, 1933. Acquired by the Parisian garage proprietor Pierre Bussienne in 1933 and raced by him in various events in that year. In the ownership of the Spaniard Genaro Leoz by 1934 who competed with the car until 1935. 1936 imported by Jack Lemon Burton. 51146 appears to have been his favourite T51 as he used it extensively until the late thirties. Post war owners: K.W. Bear, G. Tyrer, J. Fry, C.S. Henderson, F. Wall, J. Richards, D. Heimann, D. Butler, T. Cardy. 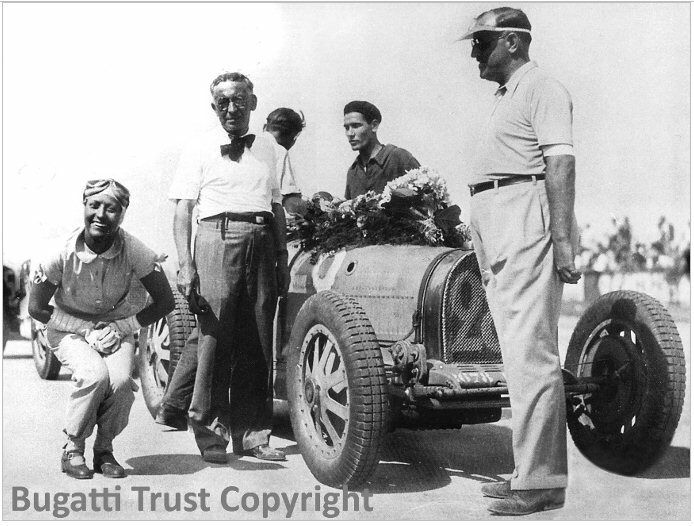 The Bugatti Trust would like to thank the following people for making the exhibition possible: Terry Cardy, honorary archivist David Carpenter, Derek Hitchman and Gery Mestre, Automobile Club de Monaco. Louis Chiron at a race meeting in 1928.